So What Do You Do, Ricardo Baca, Marijuana Editor for The Denver Post? Most of us both inside and outside the media world can appreciate the occasional (dated) joke about marijuana — but the world’s most popular weed is now big business, and some would argue that there’s no going back. For evidence, look no further than The Denver Post, the paper of record for the state that may now double as the safest place in the world to grow, sell and consume cannabis. The Post launched The Cannabist, a vertical dedicated entirely to the business and culture of marijuana, in December 2013 right after Colorado passed laws legalizing what remains a tightly controlled substance in much of the United States and the world at large. The paper didn’t have to look too far to find a reporter who was more than ready to handle this new challenge. Ricardo Baca, a veteran journalist who worked on the Post staff for more than a decade as a music critic and entertainment editor, now has a new title to add to his resume: the first American journalist dedicated to covering all aspects of the (legal) marijuana industry. He spoke to us about challenges, controversies and day-to-day operations at his high-profile gig. Resume: Worked as a pop culture and media critic at the Corpus Christi Caller-Times from 1999 to 2002. 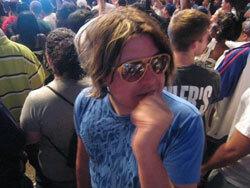 Hired by The Denver Post as music critic in 2002; given the added title of entertainment editor there in 2011. In late 2013, anointed the marijuana editor of the Post and founding editor of its newly created marijuana news site, The Cannabist. After graduation I moved to Corpus Christi, Texas, and lived there for about three years while working as a television critic. I found my critic’s voice and founded a music blog and festival that are still around. Eventually I was promoted to editor at The Denver Post, and over the last couple of years I’ve been both the paper’s music critic and its entertainment editor. In November I was approached about [the marijuana editor] job; I was excited and thrilled and accepted it immediately, and the rest was history. I’ve been running The Cannabist ever since, and every day is truly different. It adds new life to what we do at the newspaper and how we cover marijuana. 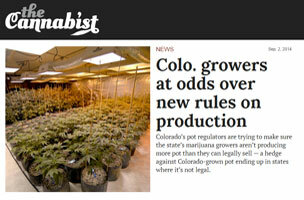 What was the strategy behind the creation of The Cannabist? The Post‘s move to not only appoint a marijuana editor, but start a related vertical through full-time hires and a health freelance staff was bold and brave. At the same time I think it’s the right thing to do, especially since marijuana is more legal in Colorado than anywhere else in the world. [At the Post], we dipped our toes in the water throughout 2013, when it became legal to possess and ingest marijuana. So we expanded our cultural coverage projects; for example, we put ‘Cooking With Cannabis’ on the cover of our prestigious, award-winning food section. That morning we were biting our nails wondering if we would get hundreds of calls from subscribers ready to cancel their subscriptions, but it never happened.